The main objective of Engineering is to design and realise the design in various fields of interest to the profession that solves an existing need, improves an existing technology, process or product and bring in innovative ideas that can be implemented through design. Students of engineering have to understand the importance of design and how to do it as this is the main professional goal. In the KTU curriculum a course on Design and Engineering is offered in the first year of the program, for all branches of specialisation. This course is an introductory course planned to understand the various segments of activities connected with simple design. This course is planned to encourage students to think differently and formulate design solutions to meet any need. Further, students are encouraged to take up mini-projects to experience the excitement in design. The designs dealt with in this course are simple which do not require in depth knowledge in engineering. Examples mostly covered are on functional designs. During the first four semesters, all branches of engineering have introduced engineering courses that are relevant to the engineering specialisation and this is continuing in higher semesters. Many of us do not have a clear idea on the significance of these courses in engineering. 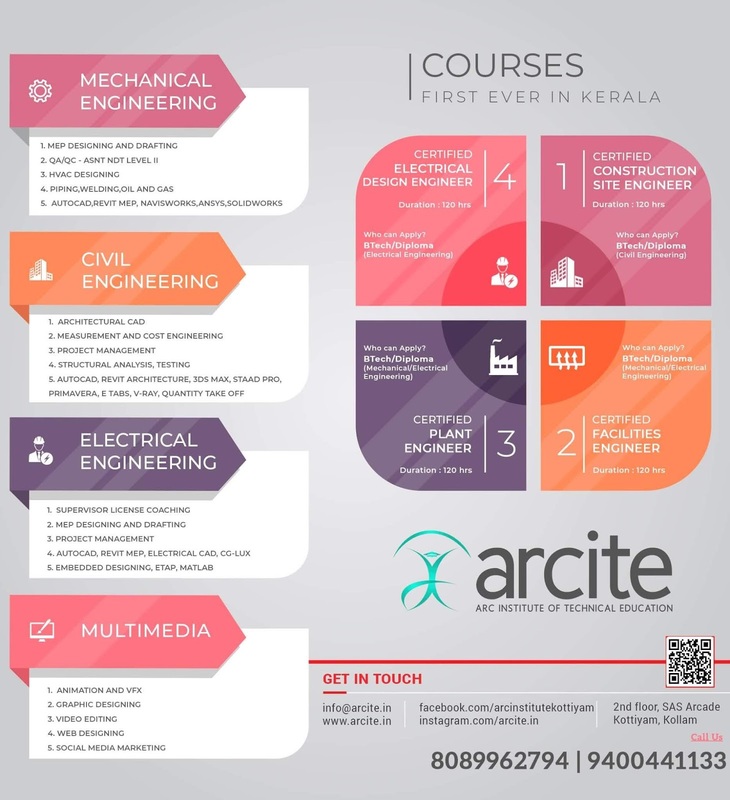 It has to be understood that these course are not engineering courses per say but are engineering tools to be used for the final objective of design that meets the needs of the society. Today many of these tools are available in the form of software based on the theory behind them that is covered in the engineering courses. Likewise the conceptualization of design and reforming of design based on any criteria (Example optimization) can now be done using many of the design tools available for engineers. These include CAD, Analysis Tools, Simulation Tools, Optimisation Tools and the like. So it is imperative that students are to be exposed to design using these tools in addition to the basic concepts that were covered in the course on Design and Engineering. Design project is planned for this. It is to allow the students to use software design tools and get familiar with them. Remember that all designs are now computer assisted designs which allow the innovative ideas of the designer to be implemented quickly and effectively. A step further in this direction is Computer Aided Engineering covering all aspects of design and its realisation. The software could be used with limited knowledge of the theory behind it. ( Think of finding the 3rd root of 56.45 without a calculator) The idea is to know how to use them in design, like the use of scientific calculators in many areas of engineering and sciences. Each branch can select any design project in their specialisation and do the design project using CAD and other design tools available. 3 D modelling and 2 d drawings extracted from the model can be prepared. Material used could be listed, standard items used in the design could be identified, exploded views could be prepared, and quality and reliability (Computer science-software design) could be ascertained. Wherever required, analysis of the design using appropriate software tools (Finite Element Analysis) could be used to modify the design. Likewise simulation tools could be used to check the function of the design or the system. All Design details using CAD are to be brought out well and presented by the student during project evaluation. This will need good communication skills. In the computer Science Branch, this could be on software design as practised in industries covering flow charts, coding, verification, quality and reliability of the product and a case study using the designed product. Design project can be taken up by a group of students not exceeding 4. Course evaluation details are given in the regulations which is further detailed below. As the evaluation is internal by the colleges, care is to be taken to make it authentic and open as far as possible. It will be a good idea to display the designs, department wise before the final evaluation so that all are aware of the quantum of work done by the group. 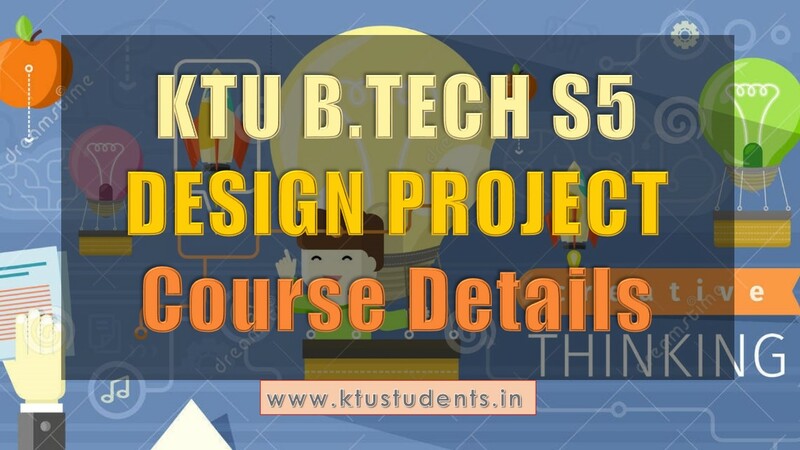 If the design done in the fifth semester is to be realised and experimented with, that part can be taken as final year project. Students can plan for this while selecting the design project so that the final year project will be a realistic one with full involvement of the group.  Identified, design requirements, thorough evaluation of design alternatives etc. Design Project (Fifth Semester B.Tech) A short write up on the course Preamble: The main objective of Engineering is to design and realise the design in various fields of interest to the profession that solves an existing need, improves an existing technology, process or product and bring in innovative ideas that can be implemented through design. Students of engineering have to understand the importance of design and how to do it as this is the main professional goal. Final Semester Project: If the design done in the fifth semester is to be realised and experimented with, that part can be taken as final year project. Students can plan for this while selecting the design project so that the final year project will be a realistic one with full involvement of the group. Evaluation First evaluation (Individual evaluation immediately after first internal examination): 20 marks Identification of three simple products, processes or techniques in the area of specialisation : 10 marks Presentation based on the study and analysis : 10 marks Second evaluation (Immediately after second internal examination): 20 marks Innovative product selected and initial design : 10 marks Oral presentation by the group : 5 marks Answer to queries : 5 marks Final evaluation (Last week of the semester): 60 marks Design evaluation : 30 marks Presentation : 15 marks Product support documentation : 10 marks Answer to queries : 5 marks While evaluating the project, the members of committee shall consider the following points:-  Presentation quality  Ability to speak clearly and logically with effective audience engagement  Quality of images and drawings, free of typographical errors etc  Clear and coherent response to audience questions  Technical content  Methodology of design calculations used  Identified, design requirements, thorough evaluation of design alternatives etc.